1120 through 1184 Riverside Drive. Adjacent to City. Trouble free, close to everything. Bicycle enthusiasts should know that Foster's Point is adjacent to the proposed bike path that will connect the Loveland trail to downtown. Here's info on the Little Miami Trail. We are the fastest growing real estate company and are part of a network of over 22,500 agents in over 960 offices around the world. 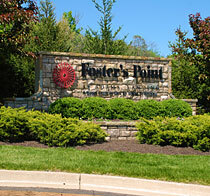 If you are a resident of Foster's Point and have considered selling or leasing your home, please give us a call. Our superior level of service will surely impress you. For a private tour of any available residence, call Connie or Lee at the numbers above. 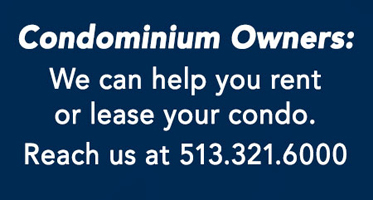 Or call our office: 513.321.6000. If interested in living at Foster's Point, Connie or Lee can set up a system that will immediately alert you and us to any newly listed homes. View all our agents here.